WHILE she ended the year on a high, touring the continent and getting her music embraced in countries where she was previously unknown, Bulawayo-born songbird Berita Khumalo has said that 2018 did not start off on a good note for her, as she started that year heartbroken and broke. 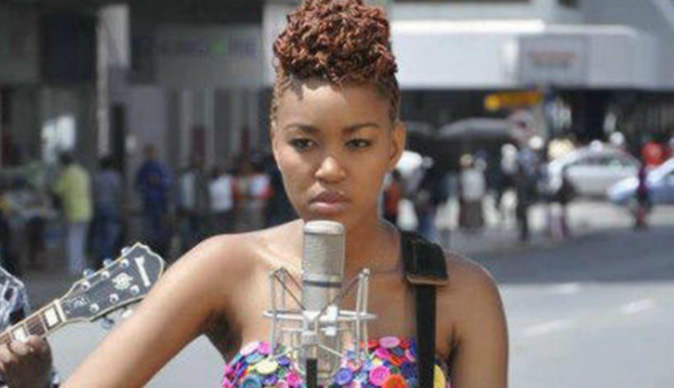 The South Africa-based Zimbabwean singer saw resurgence in her career last year, with the remix of her Found You by Da Capo impressing on the charts while her appearances in her native Zimbabwe were also well attended, as if to illustrate her growing stature at home. However, despite all those positives, Khumalo said that the start of 2018 had presented her with some of her greatest challenges in life. Despite the setbacks early in the year, Khumalo said she had managed to recover and even discovered her entrepreneurial spirit. "Out of the seeds of pain sprung growth, confidence and self sufficiency in many ways than I had ever imagined. I established my company ASSALI GROUP, a housing company for all my entrepreneurial ventures in Music, Property and investments," she said. Her renewal, Khumalo added, had seen her improve in various spheres of her life, with her personal rejuvenation likely to lead to her own artistic growth in the coming year. "I bought my first investment property and played unforgettable shows across Africa. I worked on myself, my body, my mind, my spiritual, business and financial life. I found a greater, stronger and unconditional love inside of myself," she said.